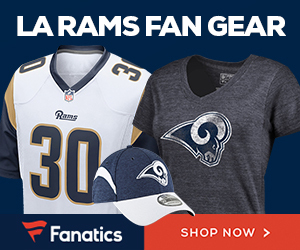 By accessing “Los Angeles Rams Discussion Forum” (hereinafter “we”, “us”, “our”, “Los Angeles Rams Discussion Forum”, “http://laramsfans.com”), you agree to be legally bound by the following terms. If you do not agree to be legally bound by all of the following terms then please do not access and/or use “Los Angeles Rams Discussion Forum”. We may change these at any time and we’ll do our utmost in informing you, though it would be prudent to review this regularly yourself as your continued usage of “Los Angeles Rams Discussion Forum” after changes mean you agree to be legally bound by these terms as they are updated and/or amended.